Among the first responder groups to step in during Superstorm Sandy was the Oceanport First Aid and Rescue Squad in Oceanport, New Jersey. to the building and ambulances that house the Oceanport First Aid and Rescue Squad. Even though the insurance and town budget has kicked in, the group still needs help. Fred Filippone, the captain of the volunteer first aid squad, said that in his 37 years with the squad he has never seen something like Sandy, a storm that he and his crew are still feeling the effects of. Carol Connor has seen the place in its heyday when things were running smoothly. 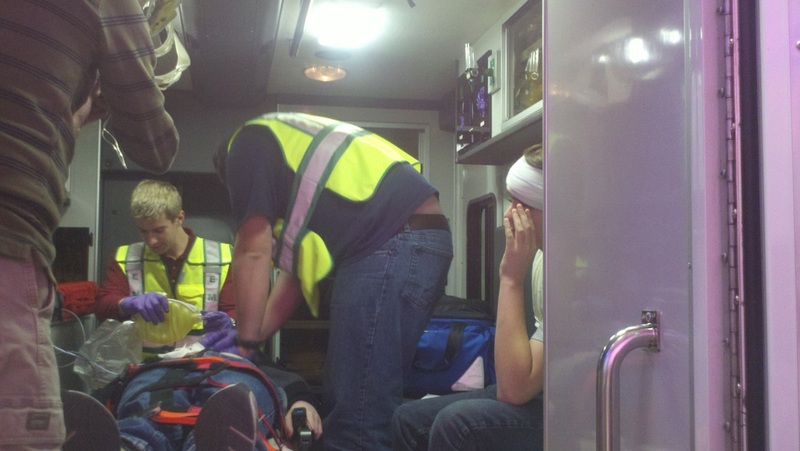 But since the storm, she said the first aid squad is struggling to get fully back up and running. Squad workers say their first priority is to have their ambulances running well. When one goes out for service repairs because of Sandy-related damage, they just hope it won't be long until it returns. Members of the Oceanport First Aid Squad and the Building and Grounds committee have begun reparations to the building. Members are working hard to clean up the damage, repair the walls and floors, and restore the building so that we can resume our operations as normal. In the meantime, we still are fully capable of responding to any emergency as our ambulances ae still in working order. We have also moved our monthly meetings to our upstairs classroom so that we can also maintain the logistics of the first aid squad. Can a Christmas Tree Save Your Life? It might if you buy it from Oceanport's volunteer First Aid Squad. 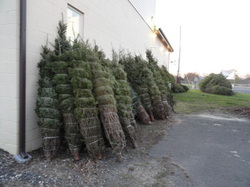 Last weekend, the volunteers from Oceanport's First Aid Squad kicked off their annual Christmas tree sale. They just needed to build some more tree stands to replace those that floated away. First Lt. Maggie Lippolis acknowleges that the post-Sandy days might not make for the best tree sales they have ever seen. "We feel awful for our citizens who have lost so much," she said, "Who's thinking about Christmas trees now?" But she added, "If you have children and you are keeping up a facade" to help them through, a little Christmas greenery might do the trick. Squad President Chris Petrillo said he expected the tree shipment to arrive Saturday, along with grave blankets and wreaths. You can expect the prices at the sale to be higher than home improvement stores, said Capt. Carl Ceralde. That's because the squad uses the proceeds for the upkeep of its building, mortgage, insurance, maintenance contracts, monthly utilities and supplies for its trucks. "You can find a cheaper tree at Home Depot or Lowes," Ceralde said, "But Home Depot will not come to your house when you're having a heart attack." Stay tuned for more details about the squad's annual holiday bazaar. The squad will host a scaled back version of the fundraiser on Dec. 8. Oceanport's all volunteer squad is hoping residents will remember the squad's service this month in their charitable donations. "We're in a bit of a pickle," said Maggie Lippolis, first lieutenant of Oceanport's first aid squad. She's standing inside the now gutted Philip J. Budinkski Memorial Building on Pemberton Avenue. Up until Oct. 29 the squad enjoyed a nice piece of property on the water (or mud, depending on the tide) on the backwaters of Oceanport creek. During Sandy the creek swelled to almost the top of the chain link fence behind the building and poured into the vehicle bays, the meeting room and the squad kitchen. The place where the squad once gathered to train, work and socialize is now a dusty mess, stripped down to the rafters about four feet up the wall. What hasn't changed is the volunteer service that the squad provides. Lippolis said that since Oct. 26 the squad of about 15 active members has answered about 100 calls. This weekend Lippolis sent out an appeal on the Oceanport residents' group Facebook page. "The good news is we continue to serve our community and we were able to save our rigs, the Captain's car and our boat. The bad news is our building is in the same shape as many of your homes right now; completely gutted. 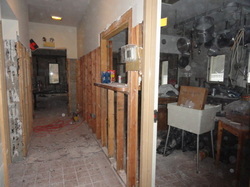 Yes the meeting room, kitchen, bathrooms are taken down to the studs. Timing is never good for a storm that we just experienced, but it is even worse right around the holidays. We at OPVFAS will be holding our annual Christmas tree, wreaths and grave blanket sales.We will also be holding our bazaar but on a scaled back version. I know for many (myself included) it's hard to be thinking of this. These fund raisers are vital to keep our Squad going. I am asking, (with much anxiety) if you will continue to support the Oceanport Volunteer First Aid Squad. If anyone would like to make a donation to our gift auction, we would surely welcome any item, gift certificate, etc. I have seen the spirit of giving in our town since October's dark day. Our town has some wonderful citizens who have helped people they don't even know, out of the goodness of their hearts. That being said, thank you for your continued support of the Oceanport Volunteer First Aid Squad." Donations can be sent to: OPVFAS, Two Pemberton Ave. Oceanport, NJ 07757. The members of YOUR First Aid Squad hope that you enjoyed a relaxing summer. By now the school year has been in full swing for over a month. The Squad would like to encourage everyone to continue to drive safely on Borough streets in order to protect everyone, especially young children. Also, thank you for your outstanding support during our letter drive fundraiser during the summer. Without your continued support Oceanport First Aid would be unable to provide you the quality emergency medical services you deserve and have come to expect from our organization. Thank you again. The time is fast approaching for the First Aid Squad’s annual holiday bazaar and gift auction. Are you a crafter or vendor that would like to rent a table? Do you know one? Attendance numbers continue to climb every year, what better way to hit your target audience? Please check our website or email oceanportfas@gmail.com for information on renting tables and other event information. New and Improved Christmas Tree Sales! This year the First Aid Squad will be selling Christmas trees from a new vendor and displaying the trees in a new manner. These changes were made in order to provide you with the best possible Christmas tree quality and buying experience. Grave blankets and wreaths both decorated and undecorated will also be for sale behind our building starting shortly after Thanksgiving. Please visit our website for up-to-date information on events and for ways to join. Help is always needed. The Cole Bros. circus pitched its tent along Port Au Peck Avenue early Monday morning for three days of performances to benefit the Oceanport First Aid Squad. Despite a couple of protestors waving signs on a far street corner, the three-day run of performances kicked off on Monday afternoon in Oceanport under the Cole Bros. circus tent with more than 800 fans in the audience. "Attendance usually builds each day because of word of mouth," said Carole Connor, co-chair of the event that is a fundraiser for the Oceanport First Aid Squad. Performances on Tuesday and Wednesday are at 4:30 p.m. followed by an evening show at 7 p.m.
General admission tickets are $16, reserved seating is $20 per ticket and VIP seating costs $23 each. Tickets can be purchased in advance from the Cole Bros. website. Connor said the circus pulled into Oceanport in the wee hours of Monday and the tent rose along Port Au Peck Avenue around 5 a.m.
Aside from the show under the big top — which features elephants, tigers, French poodles and springboard gymnasts — outside there are clowns offering face painting and the chance to perch atop an elephant and go for a little walk. Oceanport First Aid has a truck parked outside of every performance in the event their assistance is required, said Connor. "But we enjoy doing this," she said. When Oceanport resident Betsy Schuff found her 11-year old son in the bathroom with blood all over his face early in the morning of April 13, she at first thought he had a bloody nose. "But then I realized it was coming out of his mouth," Betsy recalled, noticing that he son Chris was vomiting blood into the toilet. It was 6:15 a.m.
With her husband already gone that morning for work, she said that it was just luck that put Ptl. Gregory Lauretta on patrol not far from her neighborhood when she made the 9-1-1 call. "If he hadn't shown up exactly when he did, I don't know what I would have done," Betsy said. By that point, Chris was sitting on his mother's lap and fading. He told her he could see stars and then passed out. "I threw him at (Lauretta)," Betsy remembered, instructing the officer to help her son. She then went to calm her younger son down who she said was screaming in another part of the house and when she returned, she heard Lauretta saying, "C'mon, buddy, come back." Betsy realized the officer had begun to perform CPR on her son and Lauretta later told her he couldn't feel Chris's pulse or see any rise in his chest. "All I could think was, 'How could he leave me?'" Betsy said of watching her son being worked on. "I couldn't understand it," Betsy said, adding that Chris hadn't suffered from any medical conditions and had appeared perfectly healthy the day before. “It didn't make any sense." Later, she learned that stitches from recent oral surgery had split while Chris was sleeping and he had ingested a large amount of blood from the wound. Lauretta revived Chris after several compressions and soon Oceanport First Aid and MonOc arrived and he was transported to the hospital where he was treated a released. Betsy told Patch that the first aid teams were "wonderful" and "worked together like a well-oiled machine." 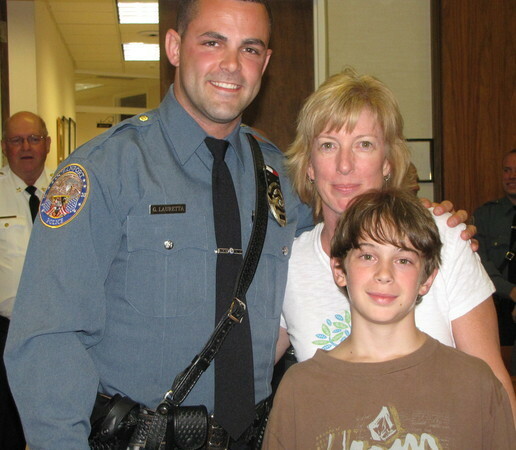 A healthy Chris and his very-relieved mom got the opportunity to thank Lauretta at this week's Oceanport Borough Council meeting, where Chris pinned a medal of honor onto the officer's uniform. Following the June 7 ceremony, which included commendations by the mayor and council as well as Oceanport Police Chief Harold Sutton, Betsy sat in the hallway outside the courtroom with Chris, Lauretta and members of the officer's family and went over the events of that morning again and expressed wonder over all that had transpired. "I'm even shaking now," Betsy said, holding out her arm. "It just doesn't go away," she said, "I keep seeing it all in my head." Betsy said she still feels like she didn't say everything she wanted to say to Lauretta. "I just don't know how you could ever thank someone for that." On the morning of Saturday April 14th the Saint James Athletic Association sponsored a 5k run and 1/2 mile fun run at Wolf Hill Recreation Area in Oceanport. The morning was a perfect one for a charity run as the sun was shining and the temperatures were just right. 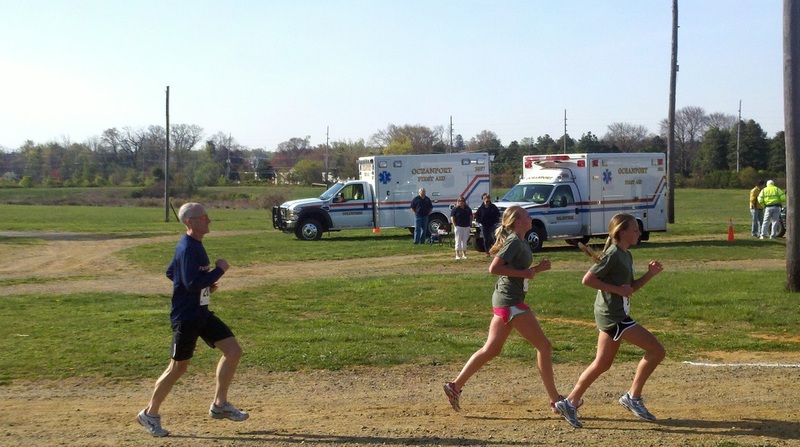 The Oceanport First Aid Squad was on hand to provide medical coverage for the runners. The Squad had two ambulances on scene with full crews in the event they were needed. Fortunately the race went off without incident and fun was had by all who attended. hours of volunteer service. This number of responses would not be possible if not for the willingness of your neighbors to step up and serve. We are pleased to welcome our new members Zachary Baggot, Michael Bell, Colleen Brady, Isabel Liali, Adrienne Petrillo, Keith Uklist , and April Woods; returning members Jane Ciani and E.J. Wright III to our Squad, we look forward to working with you. We’re coming to a mailbox near you. April marks the beginning of our 2012 fundraising letter drive. This is our largest source of income which enables us to provide the high quality, no cost emergency medical service that residents of Oceanport deserve and expect. Please take a moment to review the material and donate if at all possible. Help us-help you. May 20-26th is National Emergency Medical Services Appreciation Week. Please visit our Facebook page and website as our plans to celebrate become finalized. Both sites are also a great source of information on services we offer and how to volunteer. Mark your calendars! 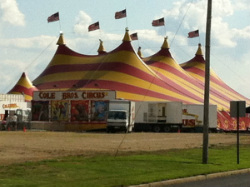 We are pleased to announce that we are again hosting the Cole Brothers Circus August 13-15th on Monmouth Park. As the event approaches more information will be posted on times and locations for ticket sales. Many thanks to Mayor Mahon, Carole Connor, and Jim Gallo for making this fun filled event possible. 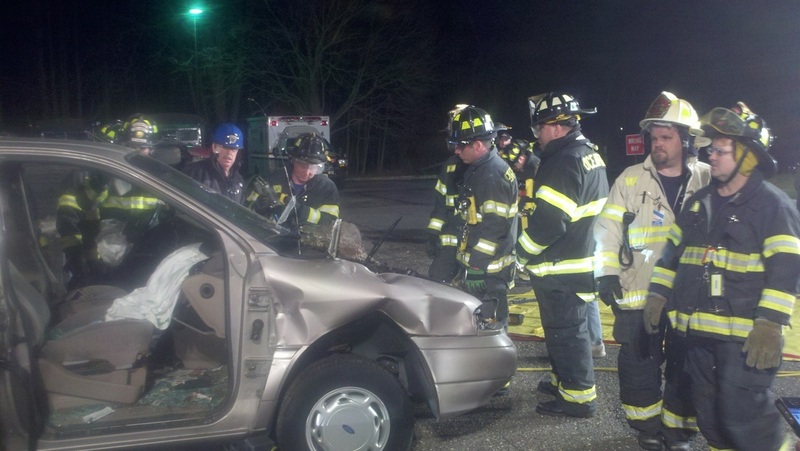 February 23rd was a particularly cold and windy night in Oceanport but that didn't prevent the flurry of activity behind Oceanport's Port-Au Peck Fire house on Myrtle Ave. Instructors from the Monmouth County Fire Academy were on hand to provide instruction on the latest techniques in removing victims of motor vehicle collisons trapped in their vehicles. Behind the firehouse responders found a scene out of a nightmare, 3 motor vehicles in various positions. A mini van was right side up, a compact car completely on its roof and another on its side. Both Companies of the Oceanport Fire Department- the Oceanport Hook and Ladder Fire Company and Port-Au Peck Hose Company, along with members of the Little Silver FIre Department made quick work of the nightmare scene. In the process they incorporated the new techniques with new equipment and increased their proficiency in this vital skill. The membership of the Oceanport Volunteer First Aid Squad would like to thank everyone that attended our annual holiday bazaar and gift auction on December 10th. The event was a great success because of you. We would also like to thank those who purchased their Christmas trees, wreaths and grave blankets from us. We are making drastic changes to our tree sales for this year; please plan on getting your holiday decorations for 2012 from us. The First Aid Squad is pleased to announce the officers for 2012. This year the Squad will be run by Captain Carl Ceralde with assistance from 1st Lieutenant Maggie Lippolis, 2ndLieutenant Kathy Kenny and Sergeant Jeremy Dalton. Please join us in wishing them success for 2012. It wouldn’t be the start of a new year without our annual Fishing Flea market, now in its third year, which was held January 15that the First Aid building. Fisherman from near and far came out to swap fishing tales, try the latest in fishing tackle and leave with new equipment for their next fishing trip. We appreciate the support of the vendors and all who attended in making this event another great success. For more information on your First Aid Squad, including how to volunteer and statistics for previous years, please log onto our website @ www.oceanportfirstaid.org. EMS say blast on first emergency alert could save lives. During the public portion of Thursday's borough council meeting, Oceanport First Aid Squad First Lieutenant Maggie Lippolis approached the microphone to inquire about the status of the town's siren system. An executive order issued by Mayor Michael Mahon in 2010 curtailed the number of siren blasts in response to complaints about the noise from residents who live underneath the sirens. Volunteer First Aid and Fire leadership are requesting a revision of the policy, which currently only allows for blasts during a weather or natural disaster emergency, reported active structure fire, or on the third First Aid call. Response time could be delayed up to 12 to 15 minutes by waiting for the siren to sound on the third call, according to First Aid Squad President Joseph Lombardo in a letter he wrote Mahon earlier this month. "With springtime coming and people outside, I'd really implore you to consider a third request with a tone and possibly go back to a first request with a tone," said Lippolis, underscoring the initial tone's importance in getting volunteers to the scene quickly in critical situations. Council President Bertekap, who presided as acting mayor due to Mahon's absence, said he had spoken to a few people about it, and told Lippolis she had a valid point. He recommended she bring the issue back to the public safety committee for further discussion. "I'm sure the council up here would all reconsider what you're talking about and look at some of the statistics and see what a difference it makes to have the first responders there rapidly," said Bertekap. Lippolis noted Shrewsbury and Little Silver still use their siren systems all the time and asked the council to look at what their procedure is and get information from them. "At this point, we're open-minded and we'd be open to discussion," replied Councilman William Johnson, "But let's not just demand that we turn the sirens on full-time. Let's see if we can work out some kind of agreement where it's beneficial to everybody." On the evening of January 3rd members of Oceanport's Volunteer First Aid Squad teamed up with 4 sophomores from Shore Regional High School to film a public safety video. Tasked with doing a project for their driver's education class the students decided to model a National Ad Council commercial on buzzed driving. In order to make the best rendition possible the students requested support from their local first aid squad who was more than happy to help. Over the course of an hour they were able to film the video seen below. The Oceanport First Aid Squad strongly encourages designating drivers for those who are out drinking and would like to stress responsibility when drinking. On January 1st the Borough of Oceanport held its annual re-organization meeting. 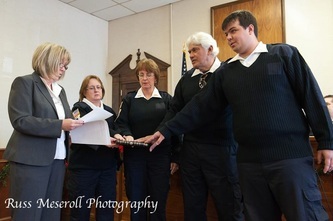 At which time the line officers of Oceanport's Emergency Service units were sworn in. Please click the link below to watch a video and read Patch.com's coverage of the event. 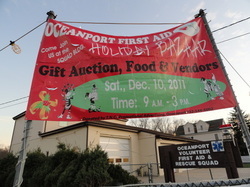 Oceanport First Aiders hosting holiday fun Saturday. 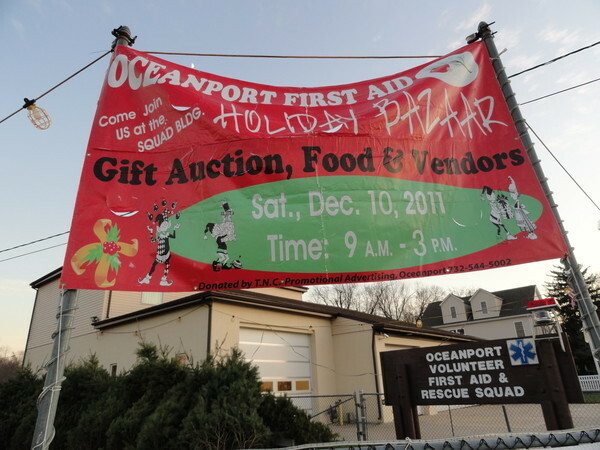 From 9 a.m. to 3 p.m. Saturday, the Oceanport First Aid and Rescue Squad are inviting everybody down to the station at 2 Pemberton Avenue for a Holiday Bazaar not to be missed. The annual event is the volunteer organization's biggest fundraiser every year, and Second Lieutentant Maggie Lippolis hopes this year will be no different. "It's a nice hometown thing and it's been going on for many years," said Lippolis. "We depend so much on this as a fundraiser to keep going." The squad kitchen will make a breakfast sandwich for anyone who arrives at 9, and they'll serve up hot dogs and hamburgers around lunchtime. The big event of the day is a 50/50 chance auction. The First Aiders will also be selling Christmas trees, grave blankets and wreaths throughout the day, and local crafters will have tables set up. Lippolis said only 300 trees are up for sale this year, down from 400, as people's tastes change and some prefer artificial trees. Capt. Connor from the squad went to a farm in Pennsylvania to pick the trees up, and the local Boy Scouts helped offload them once they arrived in Oceanport. OCEANPORT — Three people were injured when a second-floor deck of an Oceanport home collapsed today, according to police. When the homeowner and two houseguests walked onto the deck of the Horseneck Point Road home, one side of the deck tilted and collapsed, according to Sgt. Steven Cioffi. 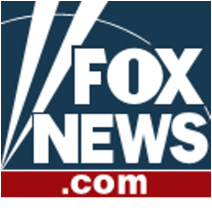 Two of the injured were treated at the scene. One female, a guest who was not named, was taken to Jersey Shore University Medical Center in Neptune for non-life-threatening injuries. Cioffi said the Oceanport Building Department was called to the scene to determine whether the deck was constructed improperly and whether there were code violations. The homeowners said the deck was there when they purchased the home in 2004, according to Cioffi.